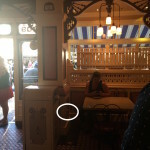 Another way to help make your phone last longer during your Disney trip. 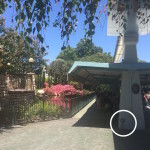 One of the most common problems that visitors have at Disneyland or Disney California Adventure parks is trying to make your phone last all day while enjoying your time at the parks. 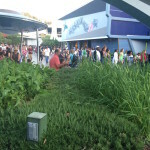 Between using apps to check ride wait times, taking some pictures and texting can definitely drain a phone battery quickly. However, there is good news for those of you who find that your phones need a little juice. 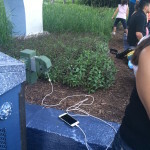 This past week, I went on a little scavenger hunt throughout the parks to find outlets to charge your phones. 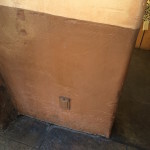 I’m starting off with a bang on showing you all of the outlets available at Disneyland (and yes, these are all working outlets)! 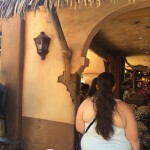 Disclaimer: Disney does not endorse using these outlets for your personal use. Also, the voltage on these outlets may not be suitable for charging electronic devices. This is just meant to be a guide “in case of emergency”. There is an outlet behind the engine at Main St. The Fire House. I enjoy this spot because it’s relatively private behind the engine and it helps you keep cool from the heat outside. 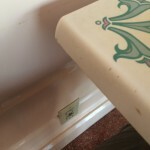 Some of the tables at Gibson Girl ice cream parlor have outlets on the walls. 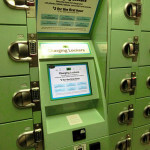 Main St. Lockers now offer charging stations. 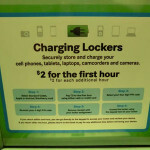 For $2 per hour you can charge your Apple, BlackBerry or Android device and the cords are included in the locker. 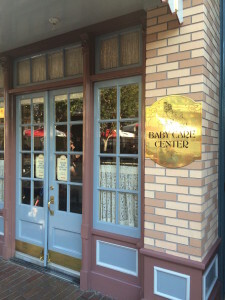 Inside the Baby Care station is a wall outlet in the little nursing room. Charge up your phone while you feed your little one. 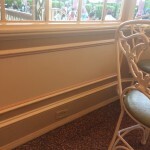 Plaza Inn has outlets near the tables inside and outside. In fact, I accidentally came across these without even looking for them. I was looking for a place to sit and enjoy their delicious fried chicken and the table I decided to sit at happens to have an outlet. 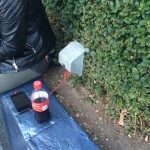 I also noticed some of the guests eating inside were charging their phones from the outlets they found. 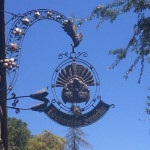 Behind the Edelweiss Snack Shop there’s a rest area with a few outlets. 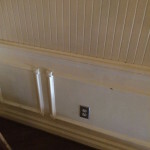 You can just pull a chair next to the outlets and wait for your phone to charge. 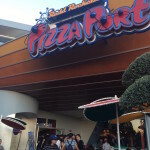 Pizza Port has outlets directly to the right of the front entrance. It may seem like an awkward place to sit because it’s right by the door but at least you can bring your phone back to life. 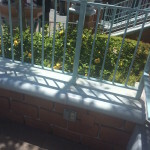 The grass area in front of Star Trader’s gift shop has two outlets on each side near the churro cart. 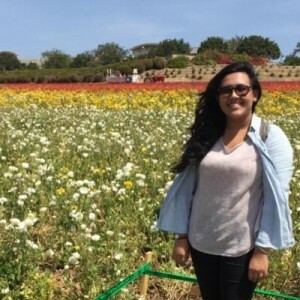 Might as well grab a churro and wait for your phone to charge! The Little Green Men Store Command has an outlet to the right of the entrance in the waiting area. 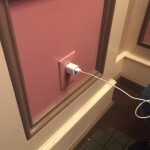 There’s an outlet in the lower level of Hungry Bear restaurant near the restrooms. 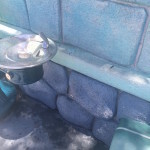 Although the outlet is in between the waiting area for the restrooms, it’s still a great little spot to pass the time while waiting for your phone. 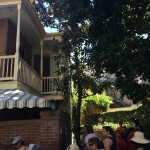 You can enjoy relaxing in this shady area and watch the Mark Twain Riverboat, the Columbia Ship or the canoes pass by. 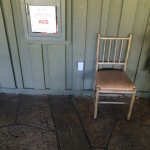 The waiting area for the restrooms near the Mint Julep Bar has an outlet. 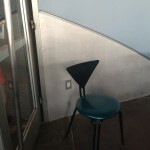 This one may be more convenient for those who need a quick charge or are waiting for someone to finish in the restrooms just because of how crowded it can be around that area; especially for how long the line can get for mint juleps. 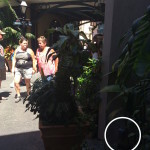 There’s an outlet hidden behind some plants near the caricature artists. 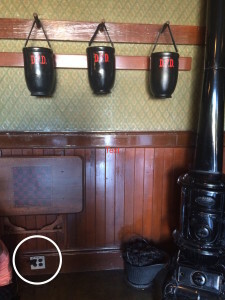 I was shocked that I noticed this one because of how hidden it is but it’s a nice spot to consider using if the other outlets are being used. ToonTown City Hall steps east and west have outlets under the seats. 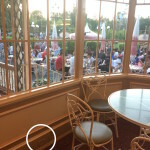 Enjoy the view of the guests roaming around and wait for your phone to get a little juice. 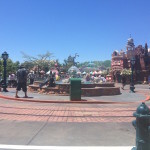 At the far right of the entrance of Roger Rabbit’s Car Toon Spin by the drinking fountain are some outlets. 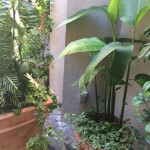 It’s a nice shady spot and you can feel the cool breeze from the fountain. 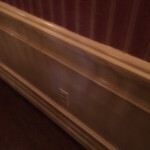 The most entertaining spot for an outlet is at the Golden Horseshoe. 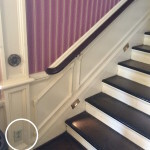 There are some outlets upstairs behind some of the tables, one by the couches and some at the beginning of the stairs at each side. 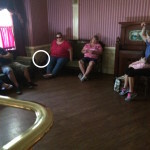 You can relax inside and enjoy The Laughing Stock Co. show while your phone is charging. 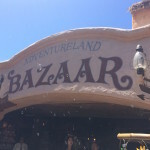 Adventureland Bazaar has an outlet on the side of shop near the Tiki Room exit. Grab a delicious Dole Whip float and relax while you charge your phone! The downfall to having to charge your phone at the park is that you need to hang out with your device at the outlet. 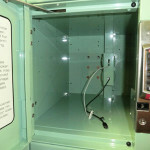 At least with the charging lockers you can leave your device in the locker for a bit while you rid a few rides. Regardless, having these outlets available is so convenient because we’re using our phones so much throughout the day. 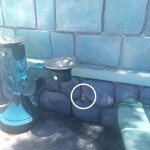 It truly was an adventure searching for these outlets throughout the park. 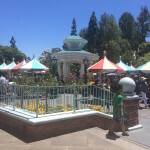 My next outlet scavenger hunt will be at Disney California Adventure. If there are any outlets that I missed, comment below so we can keep the list growing! 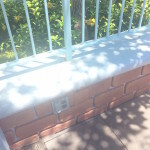 FYI, Disney is starting to make all of these outlets have covered boxes that guests cannot open as the voltage on most of them is not appropriate for charging phones, etc. If security sees you using one of these outlets they will make you unplug and move. You would be much smarter just to spend the 20 dollars and buy a recharging power brick so you can tuck your phone into a pocket in line and charge it without needing to find an outlet. No mess, no fuss and no fighting with the family why they are wasting time sitting on the ground with the @*#@* phone. I bought an external charger, and LOVE it. It charges up to 4 full charges, and will charge 2 phones at a time. I would never risk blowing out my phone using one of these plugs. What external charger did you get? Please don’t use a lot of the external or random outlets not meant to be used for phone chargers. The outage is a lot higher then what your cords are made to handle and you can blow out the battery in your phone and ruin your phone charger. yes just get a portable battery charger. Theres one thats 10 bucks on amazon that i know will charge your phone 2 and a half times if its fully charged. I just put mine in the charger the night before i go to D-land and im all set the next day! boom! Thats why theres a disclaimer, Ive been using for years. I guess we have all been lucky or its not accurate to say they are all unsafe. More likely there is a problem with the cord or the charger not the outlet, these are pretty standard outlets and have been approved for electrical usage. Big Thunder Ranch petting zoo, inside the little house, also on the porch outside. Thanks for the info. I used to do this all the time! I would recommend investing in a good external charger instead. 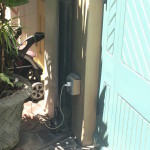 That way you can charge and still get around the park, not being tied to an outlet. I got the Jackery Giant+ off of Amazon. I love it! I can charge 2 phones/devices at once at least twice before it dies. The 2.1 port charges my Samsung Note 4 from empty to full within about 40 minutes! And it lasts just as long. I bought 3 so each of my kids would have on too! Perfect for our Disney days! Dont use these outlets. These were not meant for ordinary use. The voltage is high and can seriously damage your phone..
turn off the phone and enjoy your adventure without the technology! 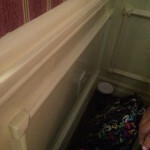 Now we will be fighting for these outlets. Thanks a heap. 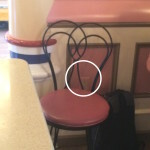 This is amazing for Pokemon GO, I just found the outlet in the Golden Horseshoe because I am plugged into it right now. They did say they don’t recommend it because the building is old and might catch fire but does that really mean “You cannot do that”? Or does it actually mean “Charge at your own risk”? 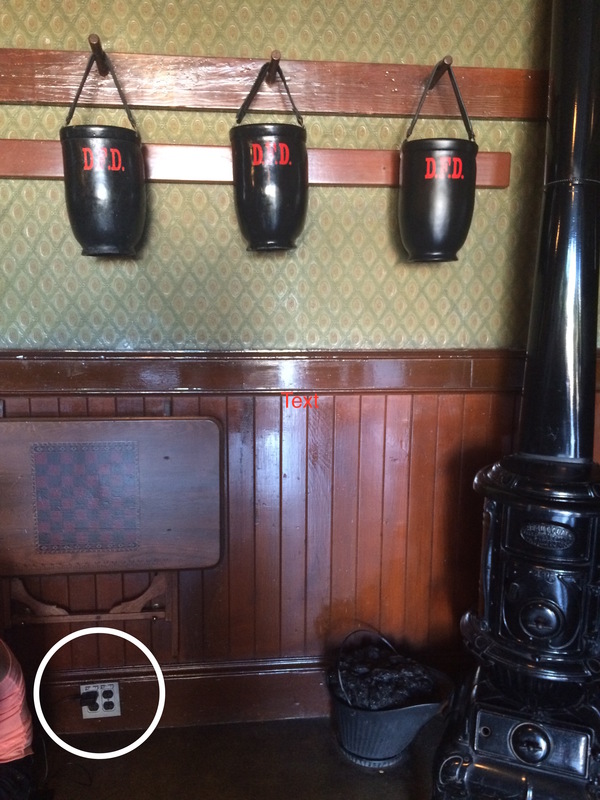 Though it’s not really accessible… we were very surprised to see an outlet in the crews quarters of the Columbia. 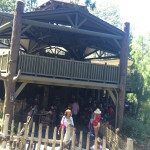 I found one in the line of Jungle Cruise. 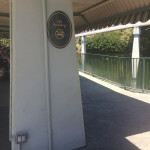 On the wall of the Handicap entrance. Saved me! 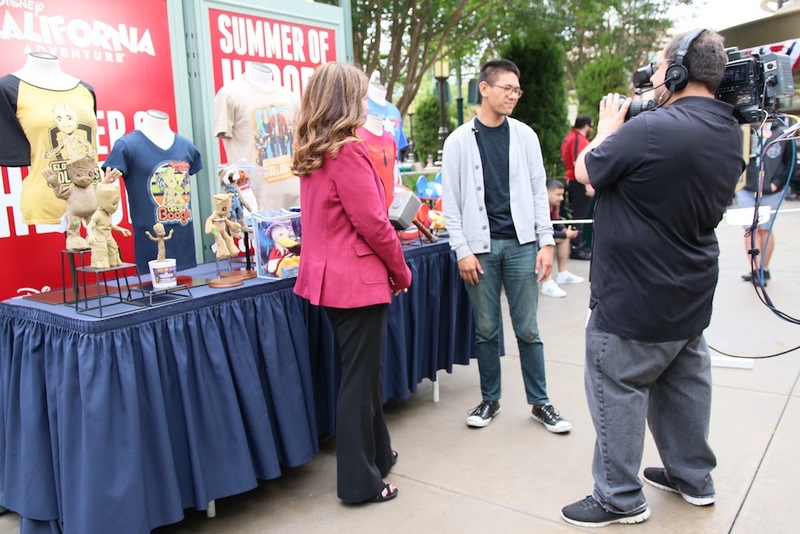 Previous story Mickey Mouse is bringing Disney magic to the ballpark this summer!